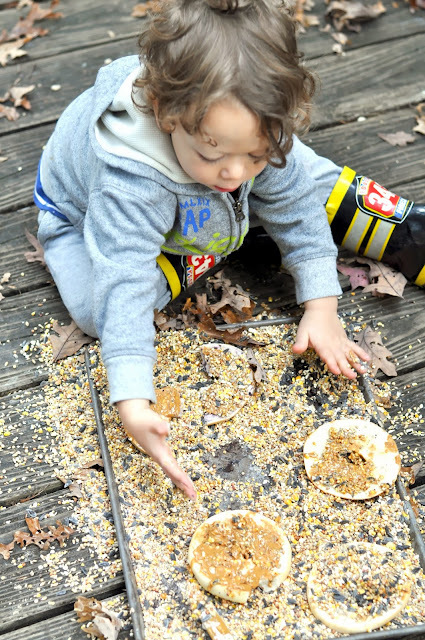 Every year we make an offering to the birds and squirrels that share outdoor space with us. 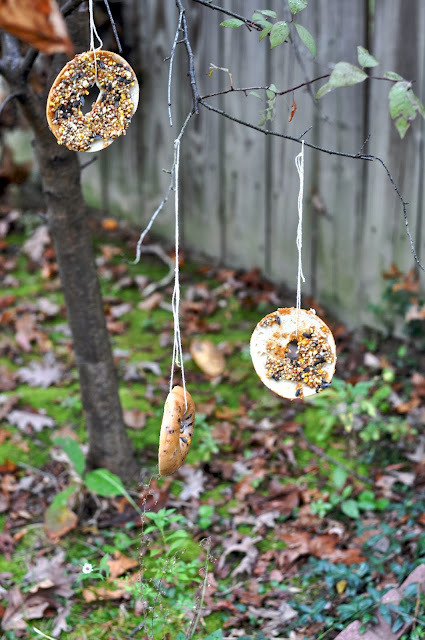 Similar to last year's sticks-in-the-dirt craft, we used peanut butter to adhere birdseed to some leftover bagels that we hung like ornaments in the trees and bushes around the backyard. 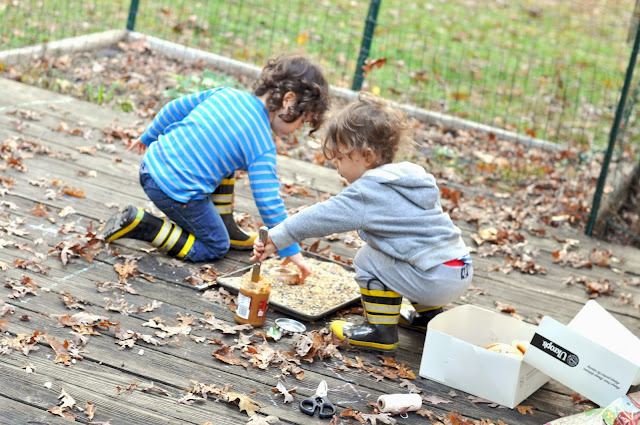 I spread out all the ingredients, shared some direction about the steps needed to build the feeders, and then gave them space to do their work. I helped them cut and tie the string with a knot at the top so the bagels could be hung on branches. 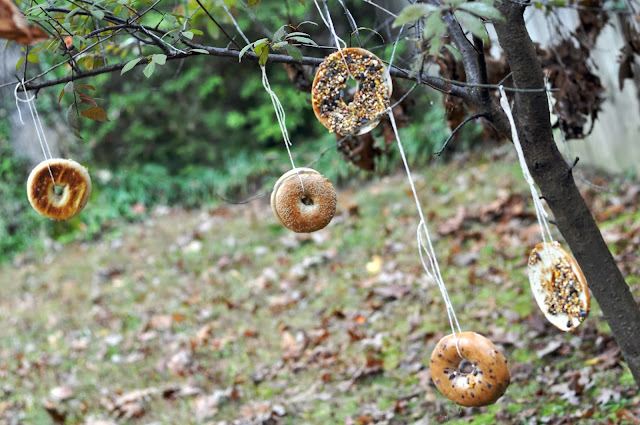 (On second thought we could have just strung the branches through the holes in the bagels.) 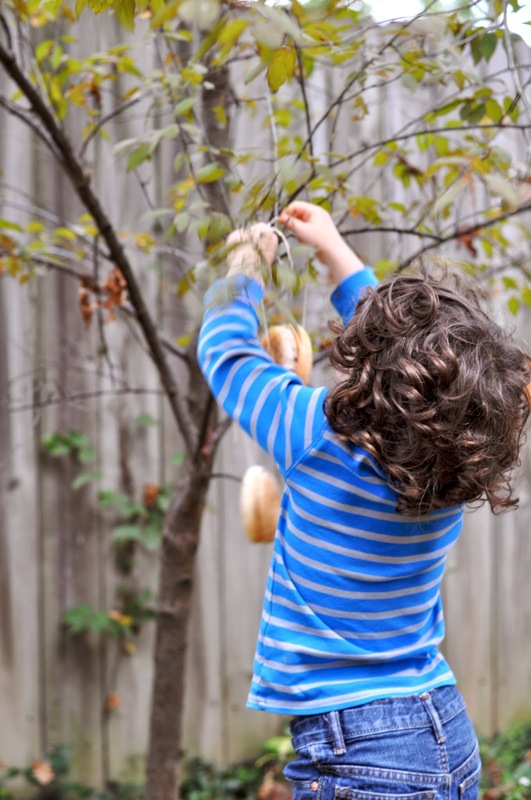 Roscoe favored a small tree in the back corner of the yard and hung most of them there. The next morning, when we set out into the yard with high hopes to find evidence that the squirrels had visited, we were surprised to discover just one piece of string lying under the tree. 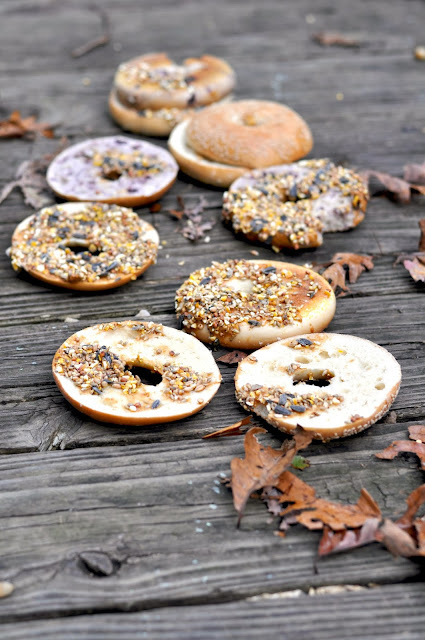 All the bagels were gone. Every. Single. One! The kids were ecstatic. A bag of wild bird or squirrel food, we buy variety mixes at Target or the local grocery store. An object to which you can spread the fat. 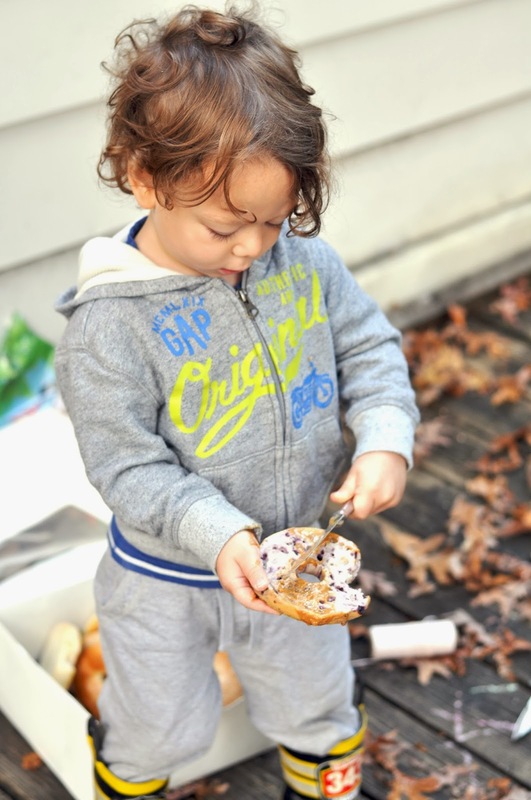 Try pine cones; gathered sticks; toilet paper rolls; bread slices, rolls, or a baguette; whole or pieces of fruit. 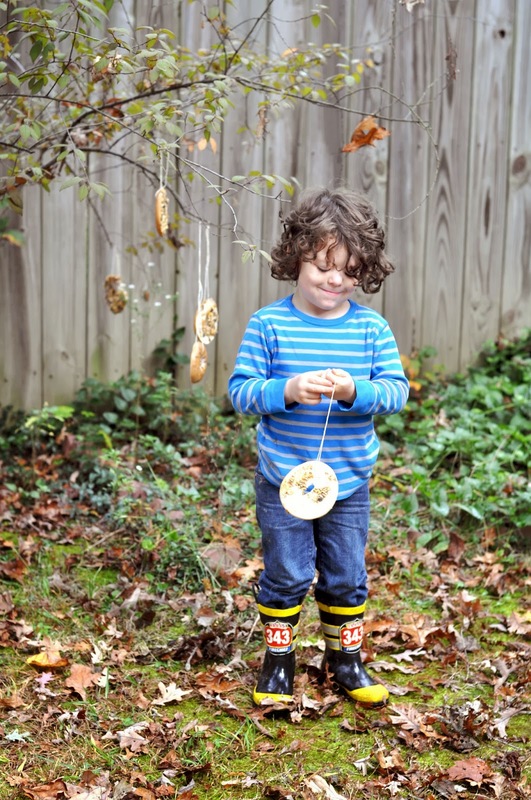 String to hang the feeders: twine, yarn, or ribbon. Or not! You can also lay them out in rows or piles on a bench, chair, or in a flower pot; or nestle them in the little nooks and crannies of your yard. There are no rules!